Designed by education specialists School Kit, DairyNZ’s in-school education programme fits within the New Zealand curriculum to meet teaching requirements. Instead of teaching dairy as a specific subject, it looks at curriculum areas such as science, technology, economics and geography, and uses a dairy context to teach compulsory curriculum areas within these subjects. All the teaching resources can be found online at dairynzschools.co.nz. Raumati Beach School deciding which breakfast ingredient would make the best ice cream. An annual activity in the education programme is the DairyNZ CLASS-ified Game of Moostery, which links 150 rural schools with 150 urban schools around New Zealand. It challenges children to put on their detective hats and figure out their partner school’s name and location using clues in the form of a photographic scavenger hunt and a video chat session. This resource aims to increase understanding and create empathy and real-world connections between rural and urban children. Introducing dairy into the science curriculum at an early age not only increases children’s knowledge about dairy farming and where their milk comes from, but it can also spark an interest in a career in the dairy sector and introduce a pathway into agri-science. A recent education module took the approach of starting with the products children already know and love – ice cream and milk – and introducing them into the science curriculum area of investigating a change of state (in this case from liquid to solid). In addition, an extra challenge of creating a breakfast flavoured ice cream was thrown into the mix. In the module, children got to find out about what products are made from milk and where that milk comes from. DairyNZ Schools is a website for teachers to access DairyNZ's free, curriculum-based, engaging learning resources. They can also sign up to visit a farm and see all the photos other teachers have shared! 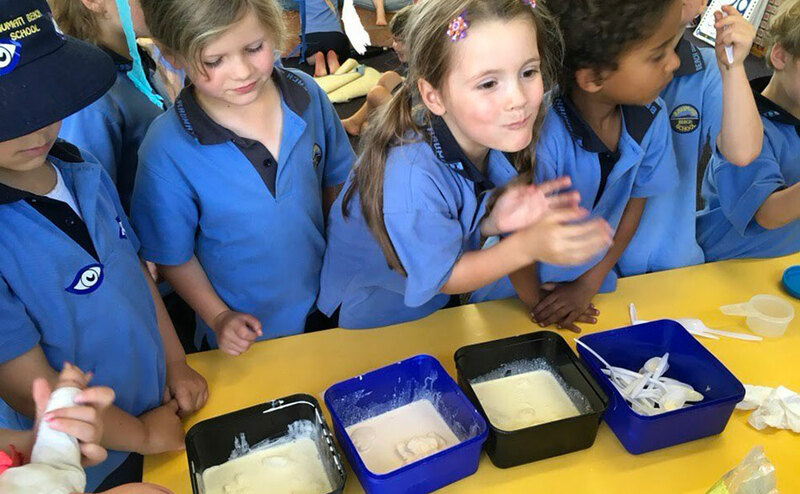 The science learning module Can it Ice Cream has proven to be one of the most popular in DairyNZ’s in-school education programme. Check out the video from Seven Sharp as they visit Hillpark School in Auckland to see the lesson in action. DairyNZ’s CLASS-ified Moostery Challenge has paired up hundreds of urban and rural schools around the country to find out about the similarities and differences that exist. The science learning module How does my grass grow gave children an insight to the different roles of a farmer and the factors they must balance when planning their grass growth – all with the fun of experimenting with their own grass growth!